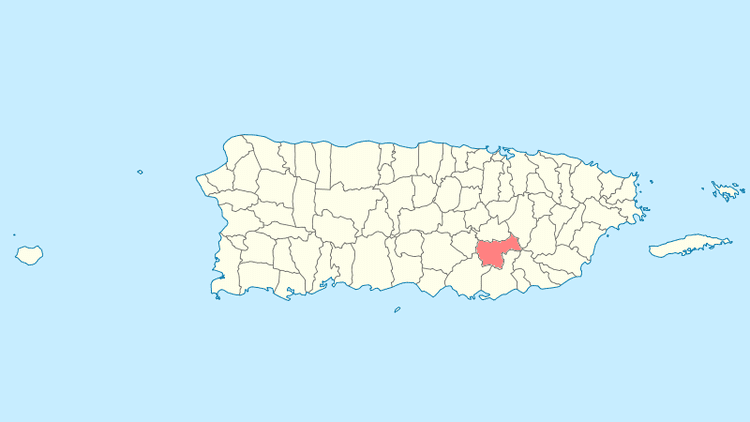 Cayey ([kaˈʝei]) is a mountain municipality in central Puerto Rico (U.S.) located on the Central Mountain range, north of Salinas and Guayama; south of Cidra and Caguas; east of Aibonito and Salinas; and west of San Lorenzo. Cayey is spread over 21 wards plus Cayey Pueblo, the downtown area and the administrative center of the city. It is part of the San Juan-Caguas-Guaynabo Metropolitan Statistical Area. Cayey's economy has and remains agriculturally based on tobacco, sugar cane and general fruits. Unfortunately, its agricultural economy that evolved starting in the 1950s has diminished considerably to date. Most of its agricultural products are imported from other islands in the Caribbean or mainland United States. On September 11, 1928, a category five hurricane called San Felipe destroyed the temporary buildings at Henry Barracks, and the Navy Radio Station. A radio message was sent from the Cayey Navy Radio Station on 18 Sept 1928 to follow “All buildings Henry Barracks destroyed by hurricane September 13th”. The Navy left Cayey and moved its station to Isla Grande and Stop 7 ½ in Puerto de Tierra. 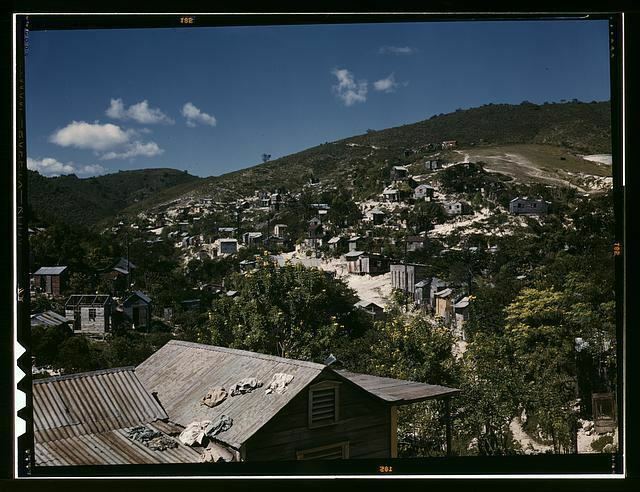 All the land held by the Navy included Magazine Hill (known in the community as "El Polvorin"), which was taken over by the U. S. Army. The 65th Infantery Regiment remained in the north side of the post. The south side was converted into two 1,000 feet shooting ranges The decision was made to reconstruct all building for the regiment in the north side in concrete One hundred and ninety buildings were completed, to include the north side of Henry Barracks. Over 600 men were hired for a period of three years to work in these projects. During this period three large barrack buildings were constructed. The two one company barracks each had its own mess hall and kitchen and was occupied by an infantry company each. The two companies barrack located in the center of the quad occupied the Battalion Headquarters Co. and the Machine Gun Co.
YMCA Cuerpos de Paz, and VESPRA (1965–68) used the Administration Building, the swimming pool, the former golf course and three houses in the area formerly housing the Major’s and families. 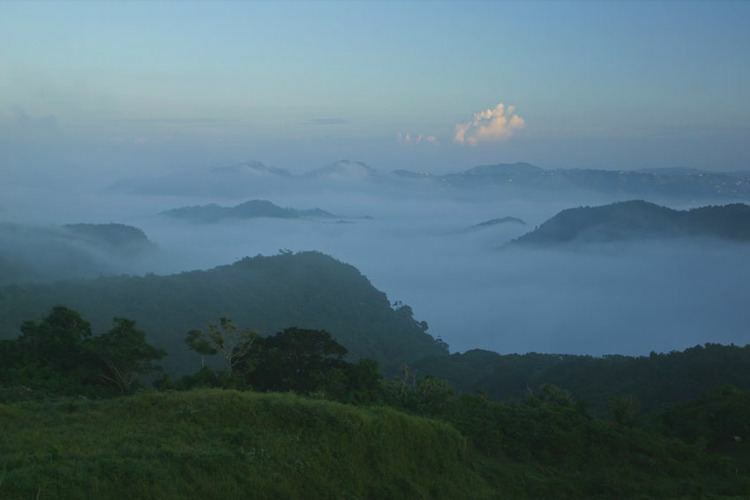 Cayey is located in a valley surrounded by La Sierra de Cayey, a mountain range where the Carite Forest Reserve is located, and the Cordillera Central, a mountain range that covers most of the central part of Puerto Rico. 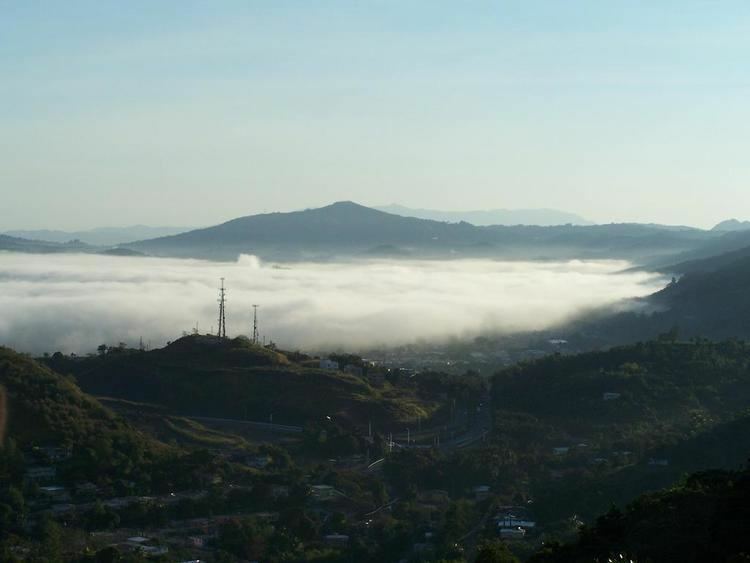 Because of its location, Cayey is known for its mountains, its cool weather and its misty mornings, especially in winter. During Spanish colonial rule, Spanish soldiers assigned to Puerto Rico were sent to Cayey, whose cool weather resembled that of Spain, while they became acclimated to the tropical weather. In winter, it is not unusual for the temperature to drop into the 50s °F. The new Pedro Montañez Municipal Stadium in Cayey, Puerto Rico, proceeded by the first Pedro Montañez Municipal Stadium in Cayey, it is the home of the Toritos de Cayey Double A baseball team, and the Benigno Fernandez Garcia Jr. High School's field day competitions. Just a few hundred yards away at 18°6'33"N 66°3'2"W, there is the third-tallest structure of Puerto Rico. It is a guyed mast owned by Hemisphere Media Group with a height of 1,091 feet (332.5 m), which was built in 1966. Monumento a Los Tres Reyes Magos. The Coca Cola Company Bottling Facility. El Salón de La Fama del Deporte. Museo de Arte Pio López. Cayey has direct access to Puerto Rico Highway 52 and its downtown/business area is served by Puerto Rico Highway 14, which grants access to Aibonito to the west and is the main route to the University of Puerto Rico in town, and by Puerto Rico Highway 15 which grants access to south Cayey and Guayama. Puerto Rico Highway 1 Bypass runs through the town's business area. The municipality has good paved roads and is easily accessible from San Juan, being only 25 miles (40 km) away, as well as from Ponce, being only 38 miles (60 km) away. 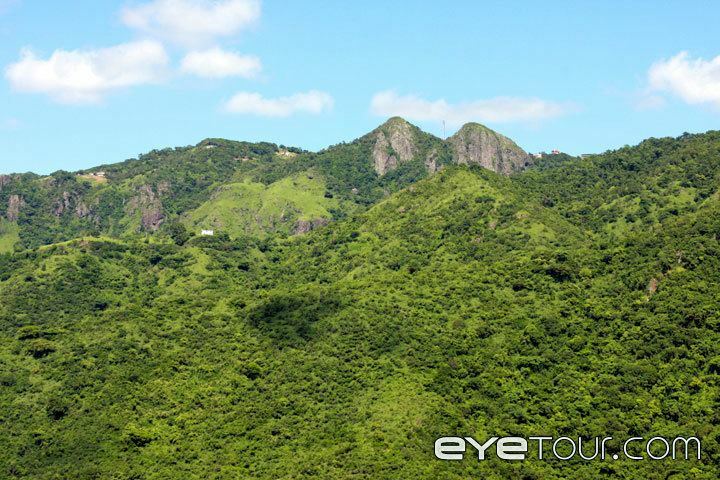 Due to its proximity to Caguas and easy access via PR-52, Cayey has seeing significant growth in the last years.